Mr. Hamaguchi is a global pioneer in innovation thinking. 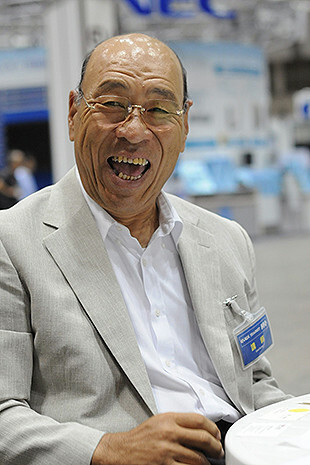 After graduation from Kyoto University, he joined Panasonic Corporation (former Matsushita Electric Works, Ltd.). In 1994, he developed Japan's first corporate intranet. He then served as a strategist at Ziba Design, Inc. for three years from 1998, during which he led many innovations including creating the concept of the world's first USB flash drive in 1999. He returned to Panasonic, joined LUNARR, Inc. as COO, and now works with Ziba again as Director of Strategy. In 2012, he became a juror of the red dot award. As a roboticist, Dr. Ishiguro ultimately explores the nature of human. 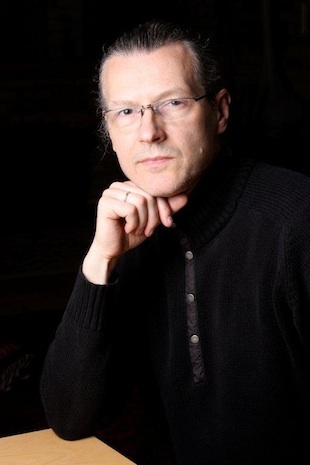 He is known for robots such as his geminoids, copies of real-life models, and was listed by Creators Synectics, Inc. as one of the "Top 100 living geniuses in the world" in 2007. He currently serves as professor at Osaka University and as visiting group leader at the Advanced Telecommunications Research Institute (ATR). 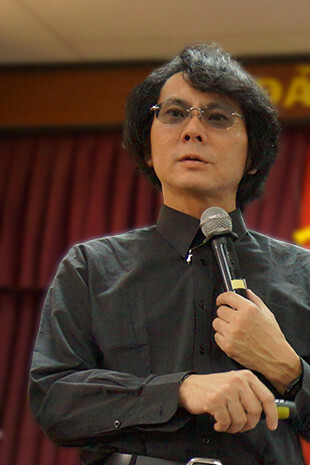 Together with playwright and TEDxSeeds2011 speaker Mr. Oriza Hirata, he has produced the world's first android-human theater performance. 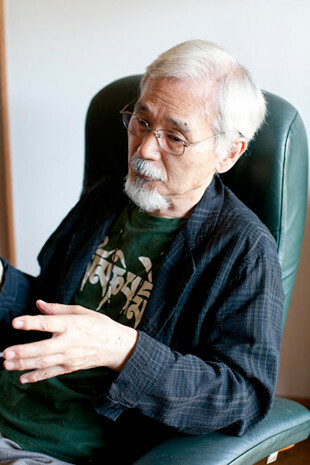 Mr. Iwasa remains an active filmmaker at the age of 77. For more than ten years, he has been portraying the people of Tibet, in whom he finds the things that Japan has left behind. His first encounter with the Tibetan people was at a refugee center in Nepal. There he met Momo Chenga, an old woman who became the subject for his 2002 documentary film, "Momo Chenga". He has also interviewed the Dalai Lama. His most recent work, "OLO" (2012), follows his conversations and travels with Olo, a young Tibetan boy who traveled alone to India as a refugee at the age of six. Ms. Jackson is the only Japanese woman to have worked as Michael Jackson's backup dancer. She was also the only female backup dancer in his worldwide "Dangerous" tour. She won the position soon after she moved to Los Angeles at age 24, and worked with him for the next five years in several music videos, TV programs and commercials. After giving birth to a daughter, she taught dance classes at New York University. In 2004, she returned to Japan to establish her studio, Awakening Space, where she introduces her original dance exercises. In 2007, Newsweek chose her as one of the "100 most respected Japanese" for her success as a dancer and contribution to dance education. 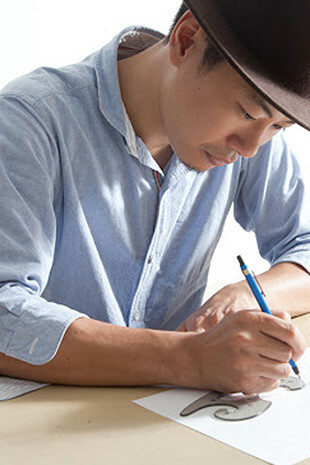 Mr. Kimura created the concept of Art Aquariums, which is a unique combination of art, design and interior with his lifework, aquariums. His "Sky Aquarium", held regularly since 2007 at Roppongi Hills in Tokyo, and his "Art Aquarium: Kingyo series" exhibitions in Nihombashi, Kyoto and Kobe, which featured Japanese goldfish, have been a successful showcase of this new field. He is also an active ocean conservationist. Now based in Tokyo and Italy, he is at work to introduce his Art Aquariums to the world. Dr. Thant Lwin Maung, known as Ko Tar, is as close to a "renaissance man" in Myanmar. 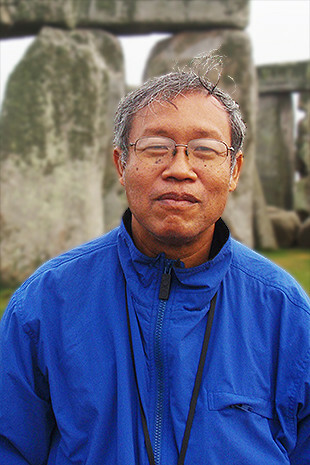 He is a well-known writer and translator, an educational pioneer (he started Myanmar's first Montessori school), an orthopedic surgeon and an activist for environmental issues (The International Herald Tribune cited him as a major force in the recent suspension of the Chinese-built dam in northern Myanmar). Together with a well-known Buddhist monk, he has set up a small training center to instruct teachers in his new education method, which combines training in critical thinking with the deep-rooted Buddhist tradition of Myanmar. 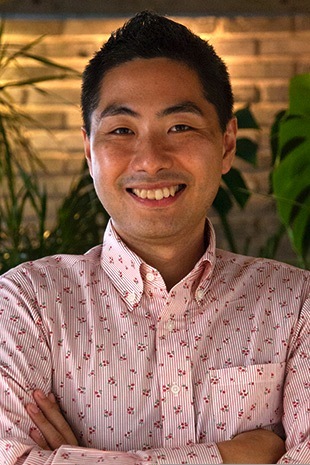 Mr. Nezu believes that "connection" between related parties and processes is the crucial element for a creative project to become successful. 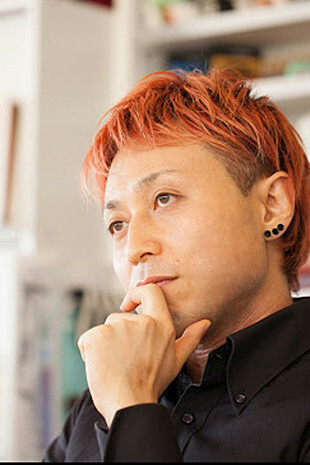 After graduation from Chiba University and working for Toyota Motor Corp., he founded znug design, inc. in 2005 (znug is read tsunagu, which means "to connect" in Japanese). 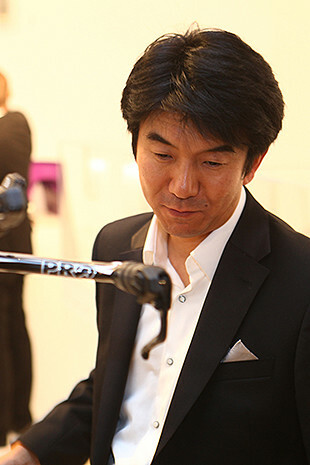 There he designs industrial products and automobiles, and has received a number of awards including the Good Design Award (Japan) and iF Design Award (Germany). One of his most recent works is a low-ride electric motorcycle named ZecOO, which has received much attention worldwide not only for its striking appearance but also for its communication-oriented production process. 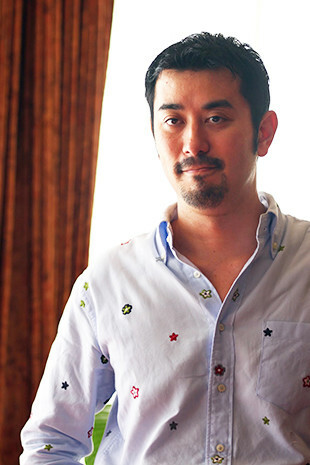 Mr. Ohara studied design at Musashino Art University, and began his career as a freelance artist in 2003. He is interested in letters, not merely as a means of tracing language onto paper, but as artistic forms. In addition to incorporating typographic elements in his work, which range from editorial designs to music videos, he holds a variety of unique workshops centered on typography. Each workshop is an exploration of ways to detach us from the daily experience of neutral digital lettering, and to tune our senses to the rich meaning that letterforms can convey. Four koto (Japanese harp) players founded Radentai in 1997: Shin Ichikawa, Ai Kajigano, Mayuko Kobayashi and Azumi Yamano. Aiming to explore the possibilities of koto, the group has come to be recognized for its unique repertoire ranging from traditional pieces to modern scores and impromptu performances. 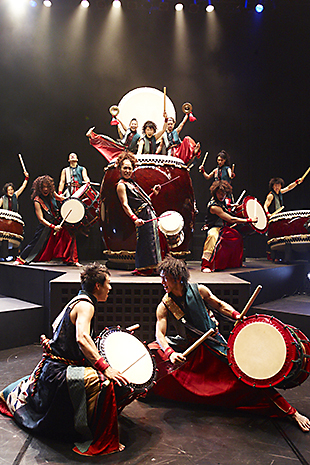 In 2006 the group made its appearance at Tokyo Summer Festival, the annual international music festival, as the event's sole choice in the traditional Japanese music division. In 2011 they released their debut CD, "FUJIN". 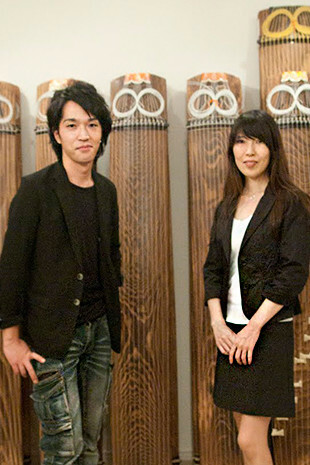 From the quartet, Mr. Ichikawa and Ms. Kobayashi will be performing at TEDxSeeds2012. Mr. Tajima is nicknamed "Monster" Tajima for his dynamic racing style. In addition to winning a total of nine titles in the All Japan Dirt Trial Championship, he has won in several international rallies since his debut at age 18. Now aged 62, he is best known for his records at the Pikes Peak International Hillclimb held in Colorado, U.S.A.; in 1995 he became the first Japanese champion, then won for six consecutive years from 2006 to 2011. In 2011 he broke the previous world record he had set in 2007. Also a successful businessman and car designer, Mr. Tajima owns companies including Tajima Motor Corporation where he is now developing next-generation electronic vehicles and race cars. Mr. Totsune became attracted to the field of lighting design when studying architecture at Tokyo University. He joined a lighting design firm after graduation, and started Sirius Lighting Office Inc. in 2005. He has worked on several iconic sites, such as the Hamarikyu Gardens, the chapel at Hotel Nikko Tokyo and most recently, the Tokyo Sky Tree, which opened in May 2012 as the tallest tower in Japan. His vague and transient illuminations are popular abroad as well, winning him projects in cities such as Hong Kong, Singapore and Taipei. YAMATO was founded in 1993 in Nara prefecture, or "the Land of Yamato", which is often referred to as the birthplace of Japanese culture. Now based in Asuka village, with over a thousand years' history, the 16-member group has stirred the souls of audiences in all corners of the world with their energetic performance. In 1998 they participated in the Edinburgh Festival Fringe and received the Jack Tinker Spirit of the Fringe Award, along with praise from the UK media. This led them to embark on their series of rigorous one-year world tours, and have attracted more than 5 million people through over 2,500 performances in 51 countries. Mr. Yoneyama, aged 13, is the youngest CEO in Japan. Following his fascination with the universe at age 4, his interest branched out to areas such as fossils, chemistry, minerals and chemical elements. When he was 9 years old, he saw a concentration game his friend made, and came up with the idea for his card game, Chemistry Quest. Hoping to share the fun with other children his age, he began his own company in 2011 at the age of 12. This year, he released an English version of the game in Singapore, with a vision of spreading it to the world. 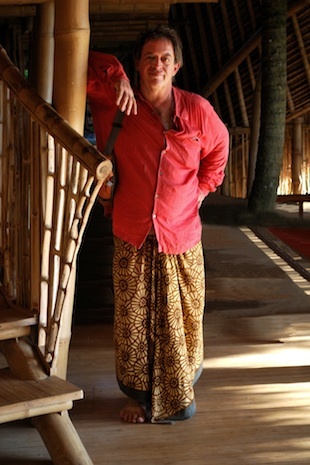 Mr. Hardy co-founded Green School in Bali, Indonesia, which provides children with a natural, holistic, student-centered learning environment that empowers and inspires them to be creative, innovative, green leaders in a remarkable bamboo-made environment. After graduating from the Ontario College of Art & Design, he settled in Bali at the age of 25 and began a jewelry company, which became a worldwide success. He sold the company in 2007, and created Green School with his wife, Cynthia. The school combines traditional subjects, creative arts and green studies to reflect their wish to build a sustainable world through education and design. Mr. Hardy also is an advocate of the use of bamboo as an alternative to timber, and has worked on various bamboo design projects with his daughter. In 1945, Ven. Sumanasara was born in Sri Lanka, and he became a samanera (novice monk) at the age of 13. In 1965 he was fully ordained as bhikkhu (Buddhist monk) and continued formal monastic training. 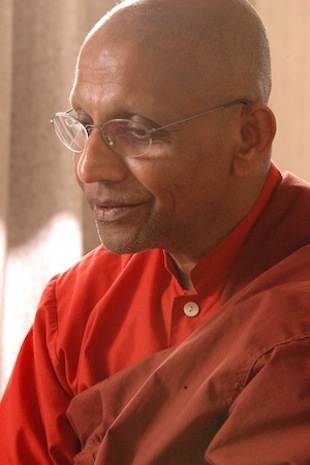 After teaching Buddhist philosophy at a national university in Sri Lanka, in 1980, he came to Japan to study Japanese Buddhism on the funds of the Sri Lankan Government. He is an internationally renowned Buddhist scholar and meditation master, He is currently involved in Buddhist evangelism and in guiding people into the practice of Vipassana. Moreover, Ven. Sumanasara is giving sermons at the Asahi Culture Center, and appeared several times on NHK Educational TV show, "The Age of Spirituality (Kokoro no Jidai)".Ven. Sumanasara preaches Buddha's teachings, which are actual and insightful wisdom to practice today. Dr. Komugi is based in Santiago, Chile, as a member of the ALMA project, which is a global partnership between East Asia, North America and Europe to construct and operate a revolutionary ultra-high performance radio telescope in the Atacama desert. 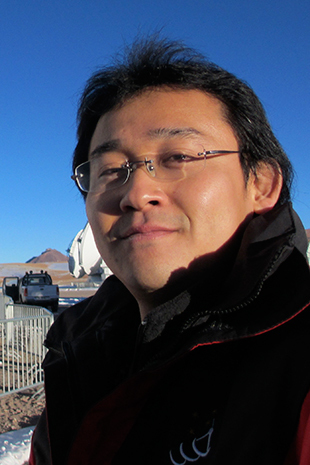 He joined the project in 2010 as a member of NAOJ (National Astronomical Observatory of Japan), after earning a doctoral degree at University of Tokyo in 2009 and working for JAXA. Consisting of 66 radio telescopes observing at millimeter and sub-millimeter wavelengths, ALMA is described as "gigantic eyes looking far out into the universe", and is expected to help us reveal the origins of the solar system, galaxies and the life itself. Dr. Komugi will join us through a live broadcast from Chile to share his fascinating experience in this dynamic project. 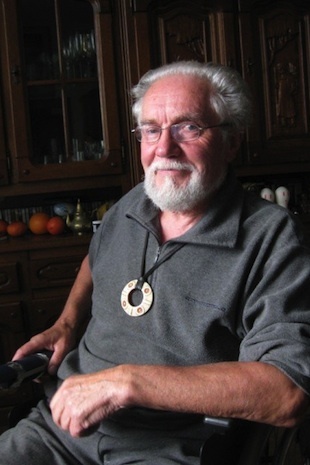 Mr. Gunaras Kakaras is widely known as a scientist, advocating and popularising Lithuanian ethnic culture alongside with astronomy. His field of interests has evolved into unique concept of ethnocosmology. This new idea was widely supported, and resulted in establishing Lithuanian Ethnocosmology museum, which was build near Vilnius University observatory, and until now is led by Gunaras Kakaras himself. leader of Ethnocosmology museum exhibition design team. Mr. Saulius Valius graduated from Vilnius Art Academy in Vilnius, Lithuania. He now serves as art director at Ekspobalta Ltd., which specializes in expositions, events and advertising, and has led projects including the Lithuanian Pavilion for several WORLD EXPOs. Mr. Saulius will join us live from the Lithuanian Museum of Ethnocosmology located in Moletai, 60 km from Vilnius. The museum, which is connected to a magnificent astronomical observatory, is the first and only museum of such character in the world. Its main task is to accumulate and research information on the relationship of mankind with the Cosmic World and to provide it to visitors. Copyright © TEDxSeeds All rights reserved.